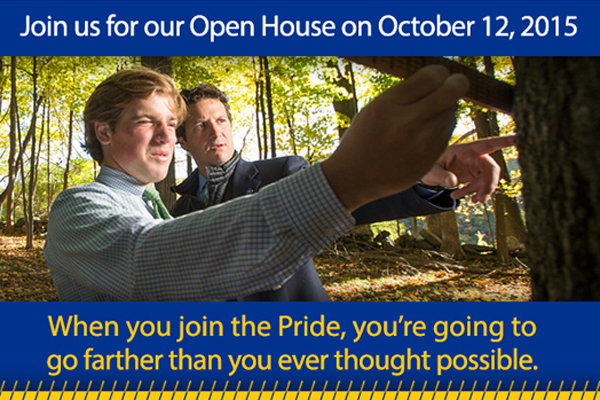 BIG BLUE PRIDE, GET READY TO CELEBRATE! 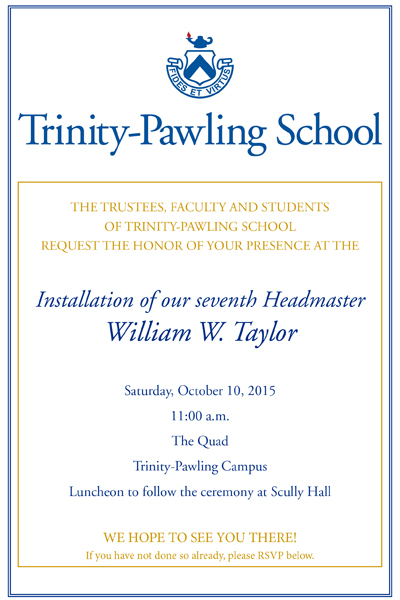 The Trustees, faculty and students are pleased to announce the official Headmaster Installation ceremony of Headmaster William W. Taylor on Sunday, October 10, 2015 at 11:00 a.m. at Trinity-Pawling School. 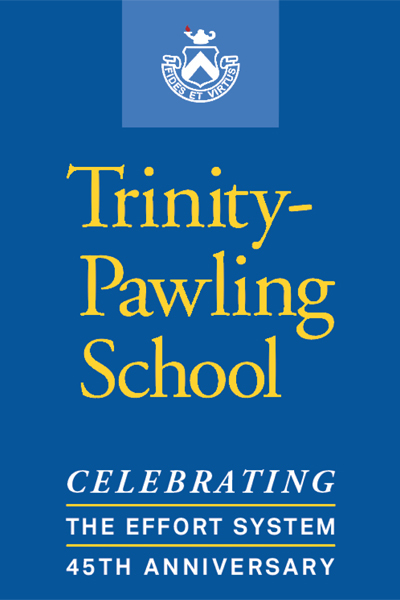 The entire Trinity-Pawling community is invited to attend as we join together for this momentous occasion. 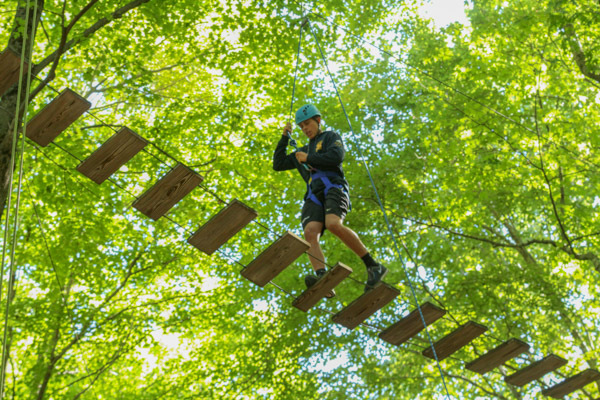 Kindly RSVP here.